Ford just announced that it’s investing in a second manufacturing plant for electric cars, adding to the one in Mexico set to build a “Mustang-inspired” electric SUV in 2020. This new location will be churning out cars on a new “flexible’ architecture that we really don’t know much about. We don’t know a whole lot about that “battery electric flexible architecture,” though I do have to wonder if the company will borrow Volkswagen’s MEB bones, since the two automakers have been talking about partnerships for quite a while now. 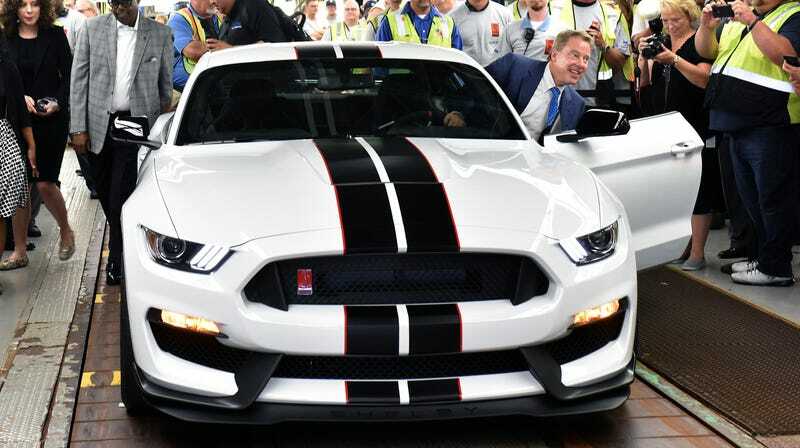 Ford says it aims to pump over $850 million into the Flat Rock Assembly Plant—currently the assembly location for the Ford Mustang and Lincoln Continental—through 2023, not just as part of this push towards electrification, but also to build the next-generation Mustang. Ford also says in the press release that it plans to have autonomous commercial vehicles—hybrid cars upfitted in a Michigan-based “AV manufacturing center” with self-driving tech and “unique interiors”—ready by 2021, and that it will build the next-gen Transit Connect in Mexico that same year. As a result of its roughly $900 million investment in southeast Michigan, FoMoCo says it’s shooting for 900 “incremental direct new jobs” through 2023.